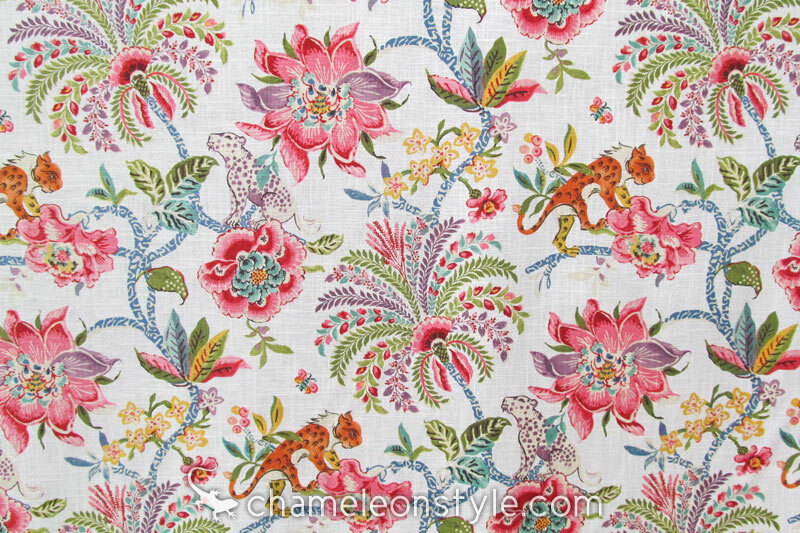 What is Chameleon Style ® ? Chameleon Style® Decorating, like the little lizard (after which this concept is named), adapts easily and smoothly to whatever challenges come along. With change being a part of the plan from the beginning, Chameleon Style® Decorating is a design philosophy that teaches techniques to help you understand the design choices you are making, and is based on easy step-by-step guidelines which make it easy to transition your style. With all of these common changes that can occur, the idea that you will one day achieve decorating nirvana seems unrealistic. The easy step-by-step process of developing a Chameleon Style® décor can be applied to one small area, a room, or an entire home. 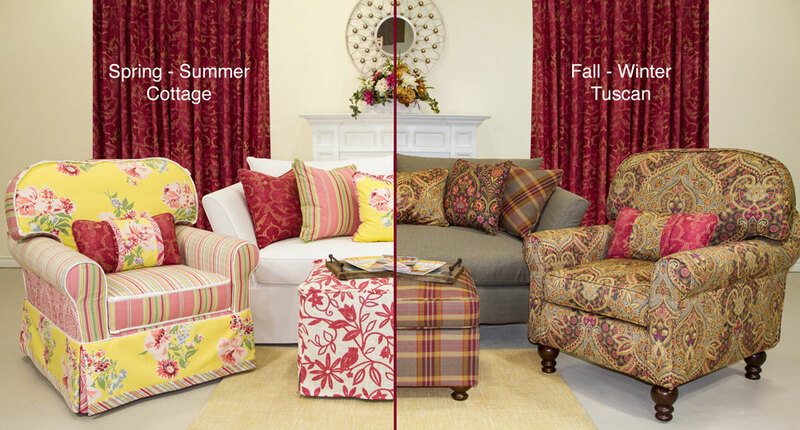 It may mean only starting with one pillow on a sofa to give a completely different look to your living room. What is great about Chameleon Style® is that the possibilities are endless, and can be tailored to work in any home with ease. 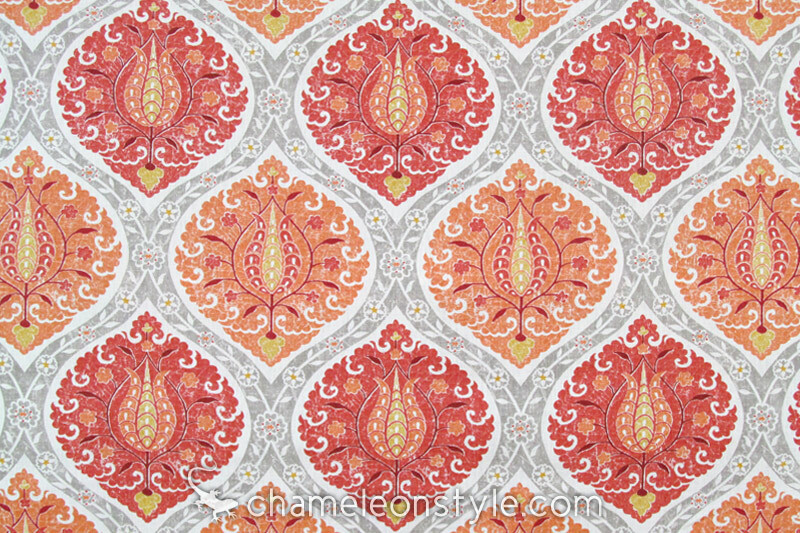 Chameleon Style Decorating all starts with finding your “Key Fabric™” first. What is a “Key Fabric™”? After that, there are no rules! What we’re really after is an “inspiration” piece – something that defines your color palette. 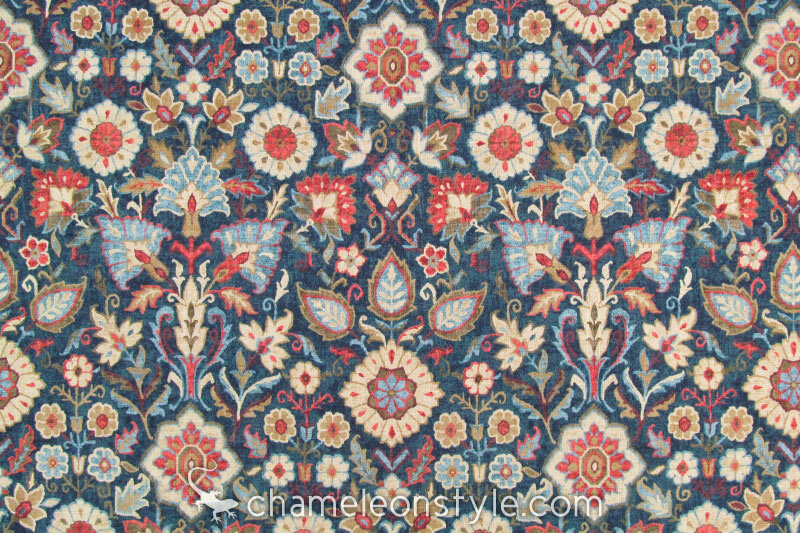 Of course, at Chameleon, we go by the “Fabric First” policy (choosing your fabrics before choosing your paint color, flooring etc) because you can always match a paint color to fabric, but it’s much harder to match a fabric to a random paint color. Although fabrics are the easiest to work with when defining a color palette, a Key Fabric™ doesn’t necessarily have to be a fabric at all. It can be a work of art hanging on the wall, a photograph in which the colors invigorate you, or perhaps a rug that you just can’t live without. A Key Fabric™ can be whatever you want it to be as long as it has 3 colors and you love it! All of these fabrics (pictured above) have 3 or more definite colors, and fun or unique styles. Your “Key Fabric™” tells us a story about you – what colors you like and the kind of feel, look, or style you’d like to have in the room. We ask questions like, “Do you like the texture of this fabric?”, or “Do you like the floral print in the fabric, or is it mostly the color you’re after?” etc. This helps us narrow down your tastes and start developing an unique, individual decorating profile for you. This part is very important because it provides a path or direction for going through the rest of the step-by-step process of Chameleon Style® Decorating. We’ve been saying that you need to choose “a” Key Fabric™, but what if you have more than one Key Fabric™? 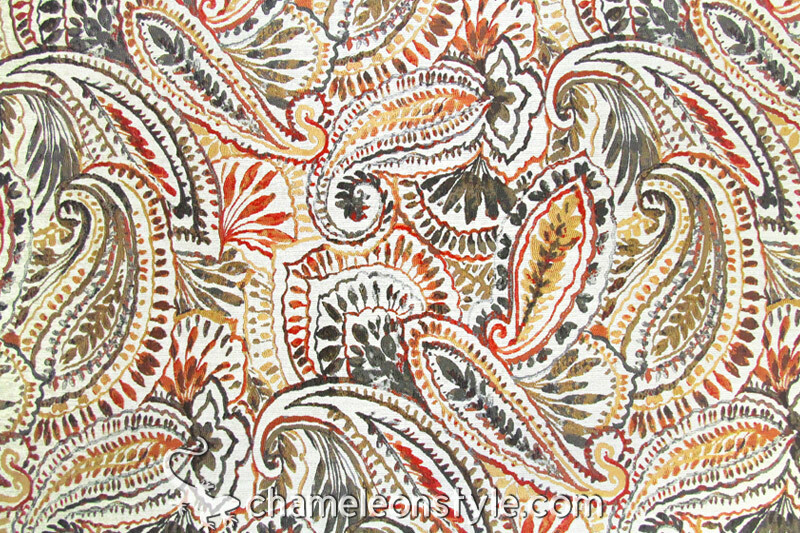 What if it’s difficult to decide between a traditional paisley and a fresh, clean, contemporary print? A Bridge Fabric™ creates a bridge between your two fabric selections. By finding a fabric that can work with both looks, you can have reversible and changeable items made with your Key Fabrics that will always work perfectly with your selected Bridge Fabric™. This way you can transition through many different styles throughout all stages of your life without ever having to start over. Now that you have a little better understand about the philosophy behind what Chameleon Style® Decorating is all about, let’s move on to learning about the easy step-by-step guidelines to developing your own Chameleon Style® décor.